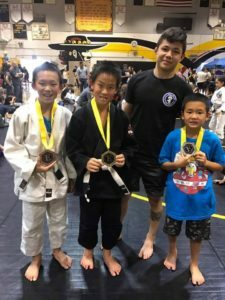 Things have been mighty busy around Brea Jiu-Jitsu! In fact, to keep up with what’s going on, its best to follow our Facebook page. We update regularly and it is the best location to see whats going on inside the gym. Over the past few years we have formed a strong friendship with the athletes from team Cicero Costha. 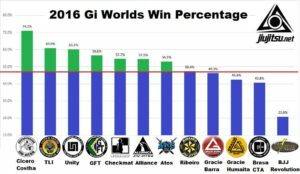 For those who may be unfamiliar with the team, they are consistently the top performing team by win percentage. 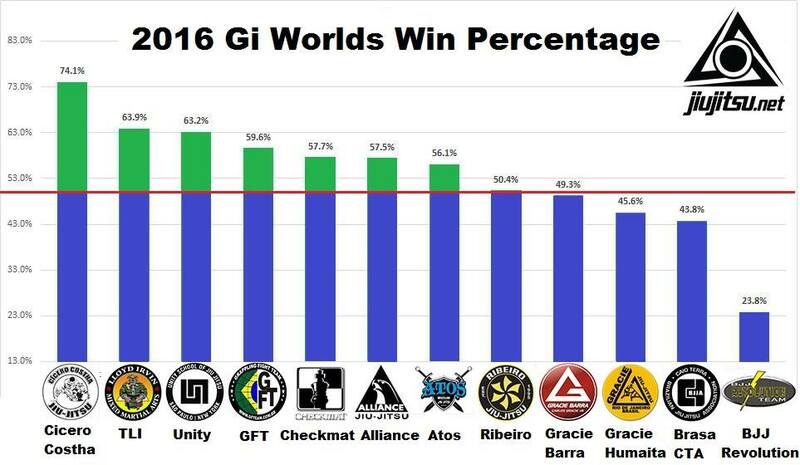 Here are some statistics we gathered which includes all male competitors from major teams at all belts blue-black. It includes data from hundreds of matches. 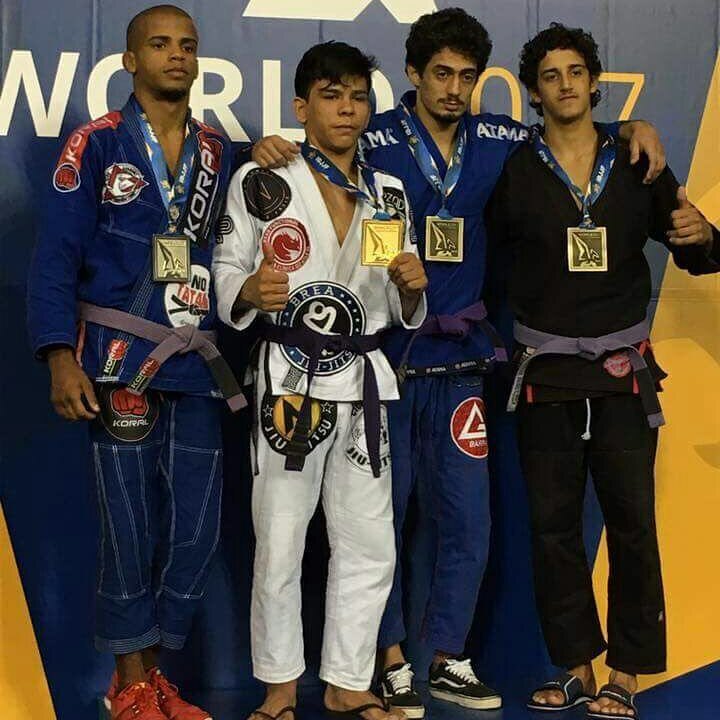 Many Cicero athletes stay with us for months at a time, so it is not unusual to have many world champions of all belt levels on the mat. 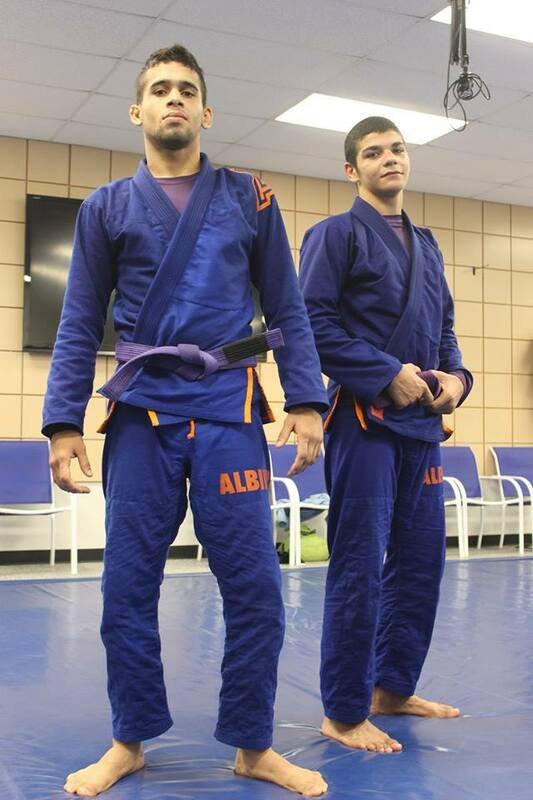 This includes during the regularly scheduled training sessions and outside of class informal training. 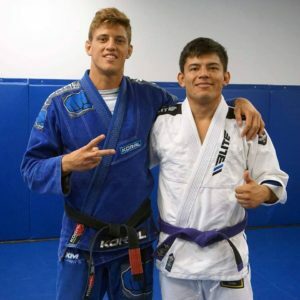 Here is a video made by one of the athletes showcasing some of the training at the gym. 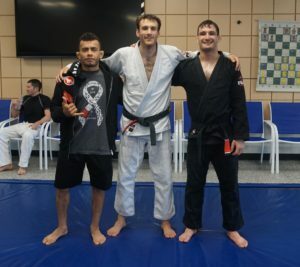 In it you will find black belt world champion Paulo Miyao, black belt world medalist Tiago Barros, Purple belt world champions Thalison Soares and Wilson Moreira and more. 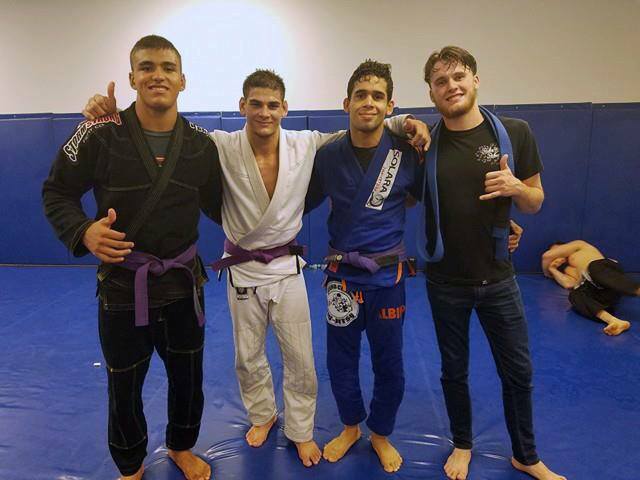 For several months, we have been the training location of Diego “Pato” Oliveira who won the 2017 Purple Belt World Championships (adult division). 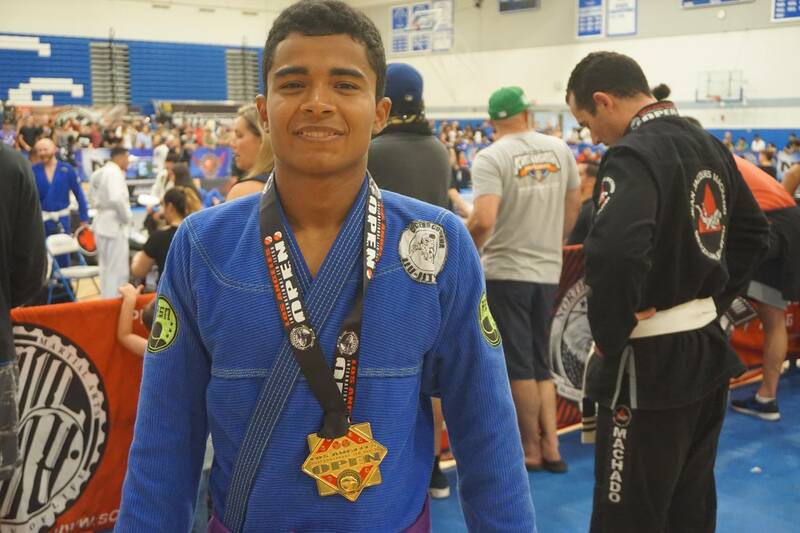 He completed his preparations at Brea Jiu-Jitsu and continues to train along with 3 other top Cicero athletes. Having them on the mats has been a real asset for our team and propelled our homegrown athletes to many tournament successes. Success is contagious. The friendship with Cicero Costha is by no means an accident. It is a result of our no politics policy, welcoming atmosphere and helping broke but dedicated athletes find some footing and friends in the US. The buzz among other top up and coming competitors has drawn many top athletes from other teams regularly to our mats. Last Friday, we saw one of our friends Kaynan Duarte, 2017 IBJJF Purple Belt World Champion (now brown) drop in. Kaynan stayed with us for several weeks while facilitated a meeting with Atos HQ’s Andre Galvo. He regularly drops in and consider him part of our extended family. Kaynan qualified for the upcoming ADCC championships, so we did an impromptu no gi class to help. Light Feather Purple World Champion (Cicero) vs Middle Heavy Purple World Champion (Atos)! Kaynan’s story is not unique. 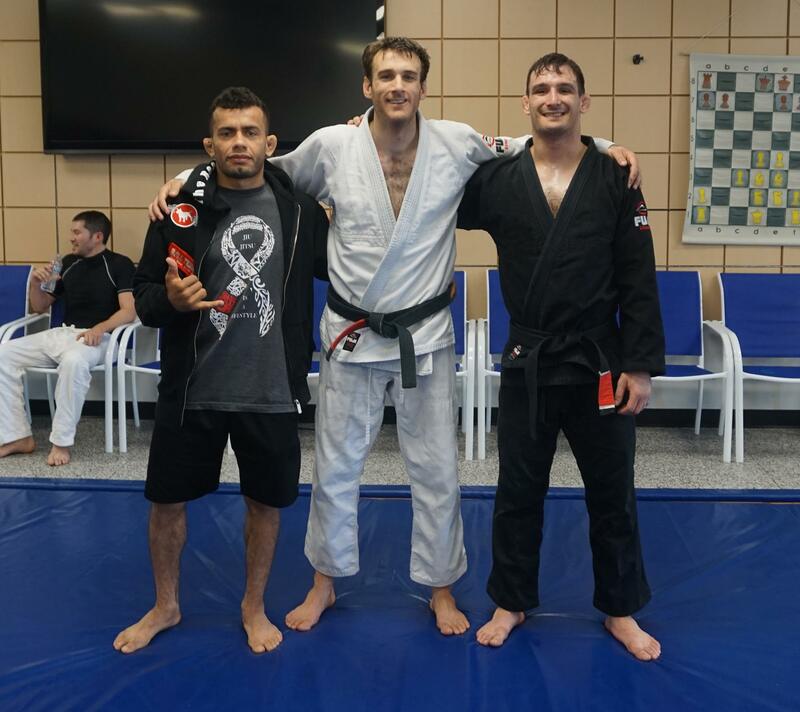 We have helped many competitors gain some footing and provide some good training until they get settled. We love this, because we always have some top competitor in that nobody has yet heard about. Sometimes we never hear from them again, sometimes they regularly visit back, and sometimes they make us their home gym. 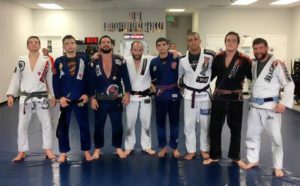 In the white gi, we picked up a then unknown purple belt from LAX and found him a place to stay with us until he could settle in. Most of the time, the kids class just knew him as the guy who took a nap in the corner. 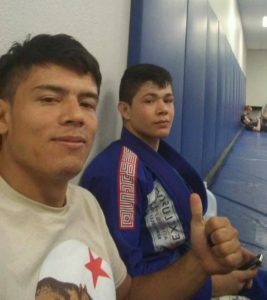 After the first training session with him, it was instantly clear to all how good he was. We sounded his name to anybody who would listen for several months. Of course, everybody knows him now. 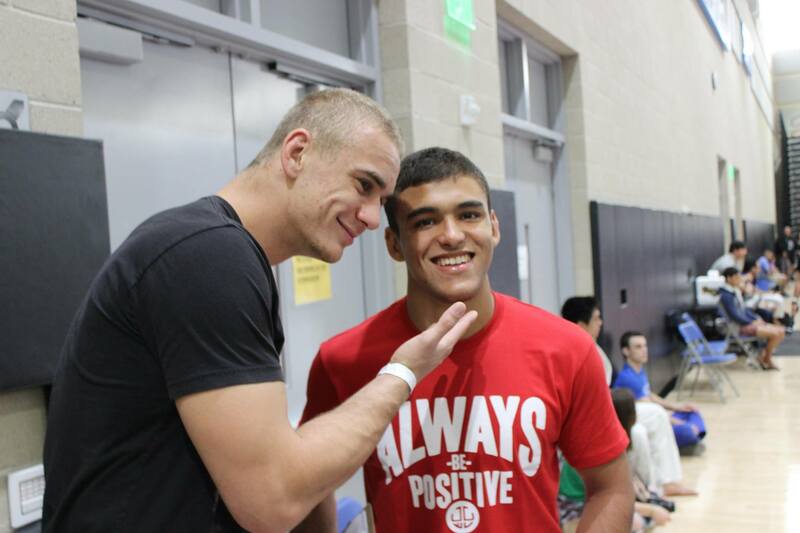 Not too terribly long after this photo was taken, Jonnatas Gracie won the weight and open weight world championship as a lightweight and became one of the biggest names in the sport. 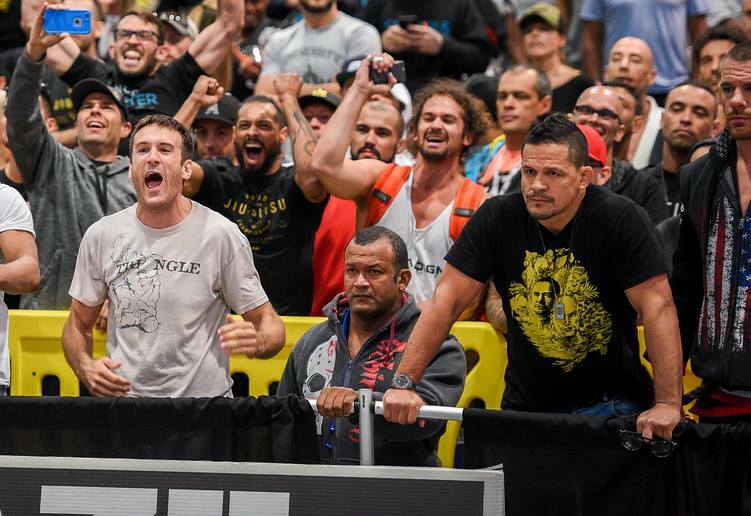 Check out FloGrapplings coverage of this impressive feat. 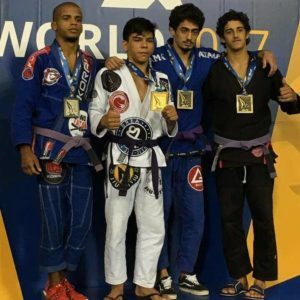 Is having top competitors from different teams on one mat a problem? The simple answer is no, its not. 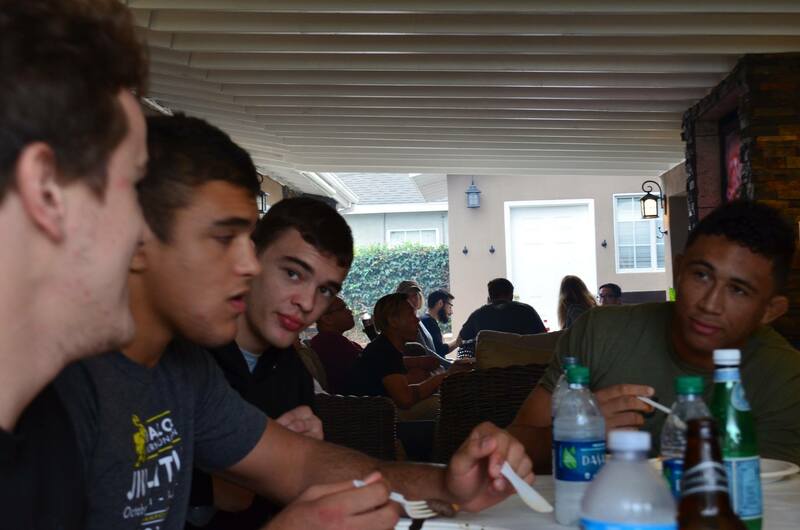 Everybody, regardless of team, are typically friends. Sometimes there is some light hearted banter when they roll which has them and onlookers laughing. 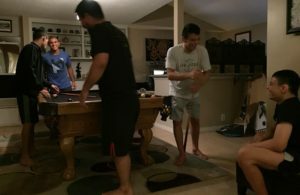 Sometimes there is an intense roll, like when some top Irish competitors came in to what Cicero guys perceived as home territory, and there was some tense moments during the roll. All tension left after the roll was gone and they talked about the techniques they both used. In other news, Coach Dan, who suffered from PCS (Post Concussion Syndrome) which kept him away from rolling for 3 years, is regularly rolling again. This is fantastic news, except should you find yourself on the receiving end of a knee on belly. Come join us on the mats and see what our team is about! 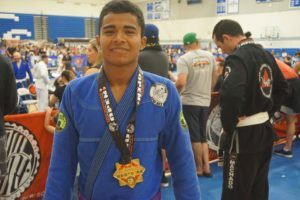 Johnif wins the purple belt division all by submission at NABJJF. 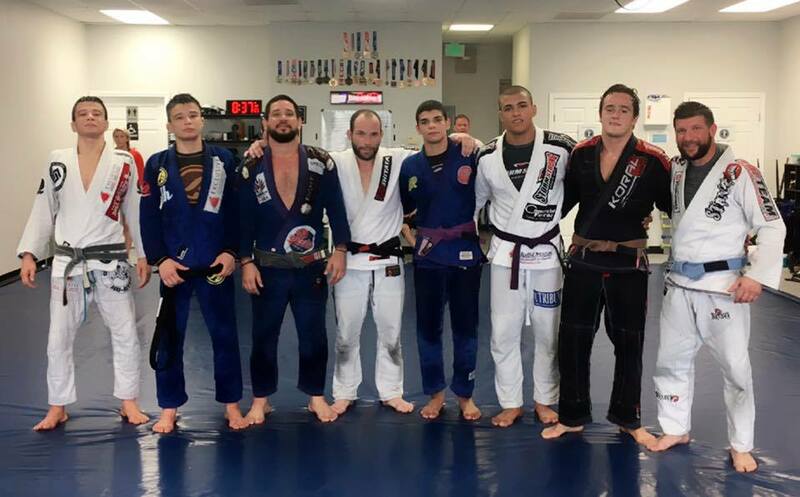 He canceled his trip back to Brazil and trains with us every class! Jonas Andrade (Cicero; Purple Worlds Medalist) looking good with Italo Moura (Cicero: Purple No Gi Worlds Silver). 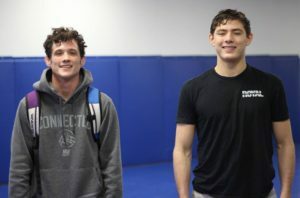 These two were the first two Cicero athletes to stay with us for long periods. This scene over at Khiem’s place isn’t exactly what you expect when you think of the famously stoic Miyao Brothers. 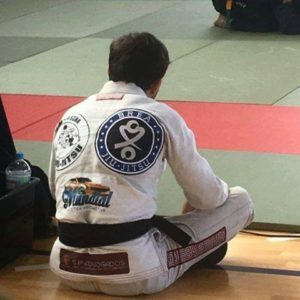 Nielton Mendes rocking our patch in Brazil! 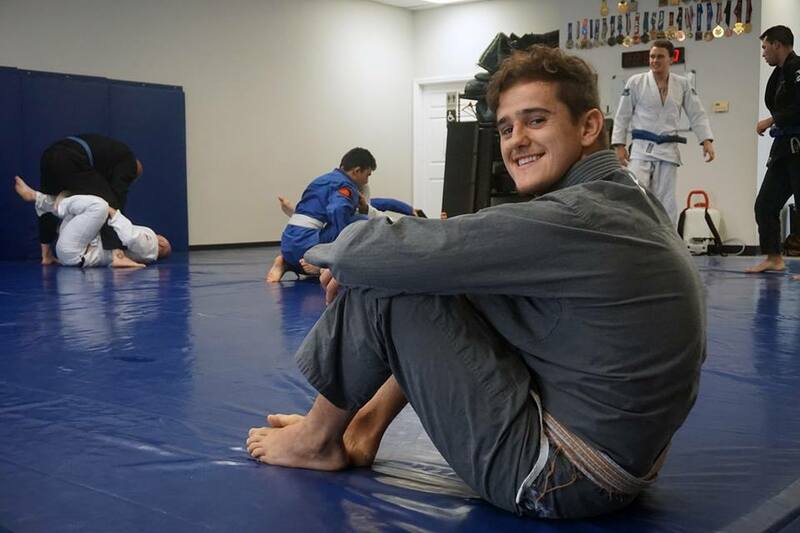 CSW Black belt Bryan Clavecilla is a familiar face getting in his gi training 2-4 times a week. 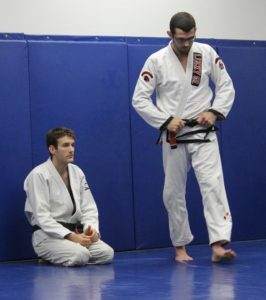 Coach Dan is often asked by elite black belt Eliot Kelly to provide strategic cornering. 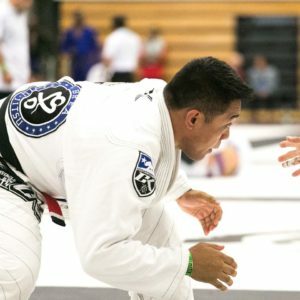 This amazing shot of Dan cornering opposite Saulo Ribeiro catches the instant that Eliot secured victory against his brother – multiple time world champion and legend Xande Ribero.